A well used carlinga with five holes. 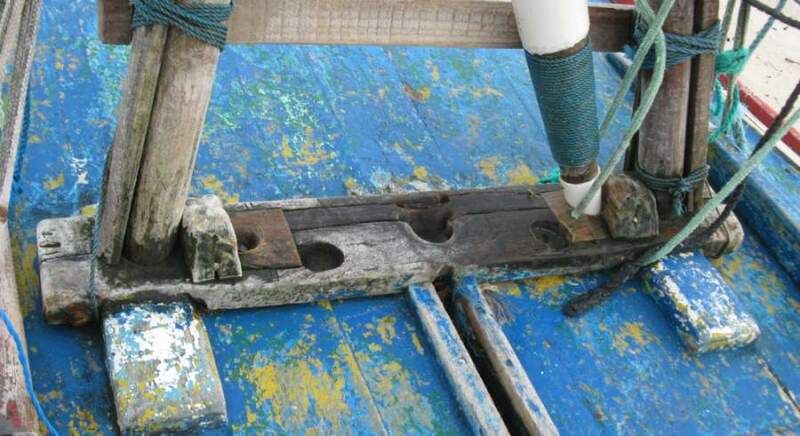 The mast foot here is pegged into the starboard hole, angling the mast to port. This is the position it would have on a port tack.